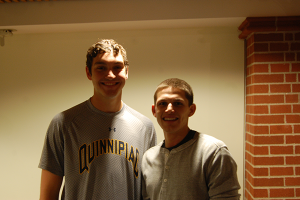 The Student Government Association welcomed Class of 2016 President Johnny Atkin and Vice President Ryan Miller. As well as Class of 2013 Representatives Amanda Hegler, Doug Caggiano and DJ Mahoney. Class of 2016 Vice President Ryan Miller (left) and Class of 2016 President Johnny Atkin (right).